What is organic livestock management? 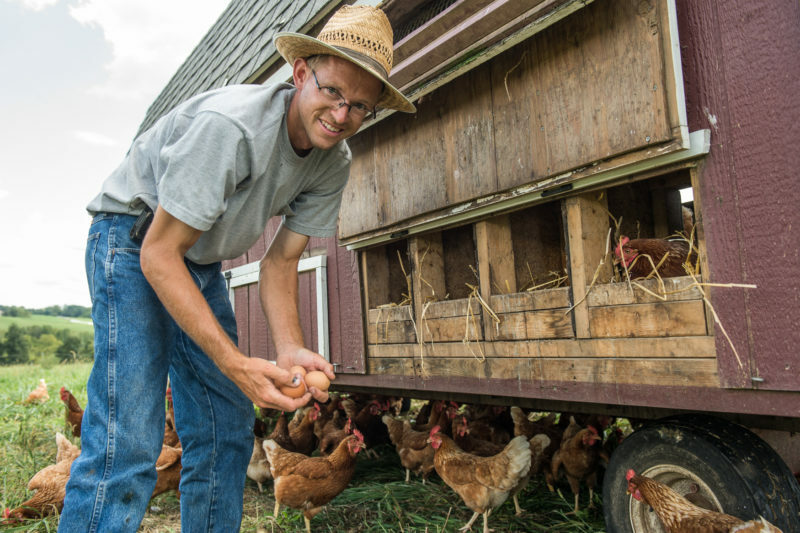 Organic livestock are managed differently than conventional livestock. 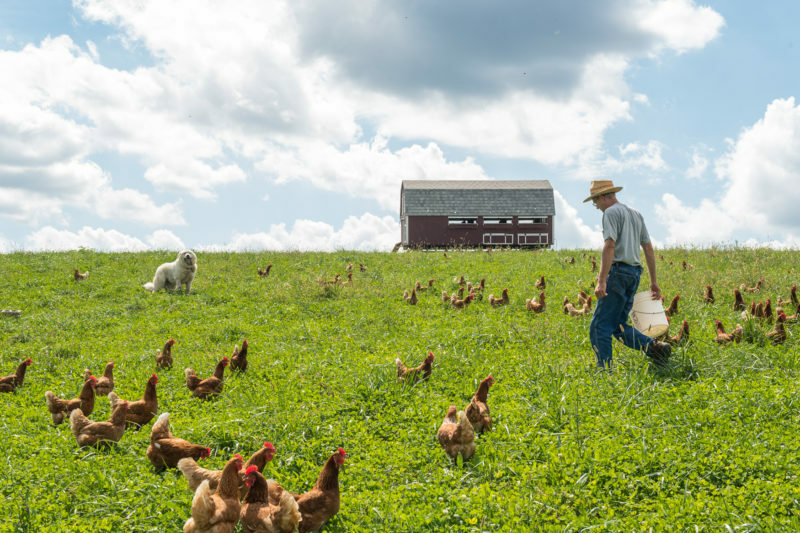 With an emphasis on pasture and restrictions on the use of antibiotics and hormones, organic livestock benefit people and the environment. 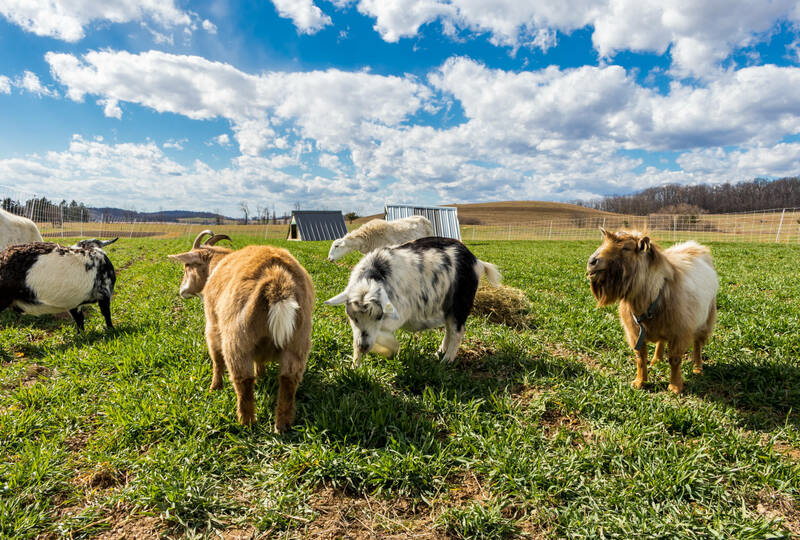 Animals raised organically have a better quality of life than their conventional counterparts, too. Animals must be managed in a way that conserves natural resources and biodiversity. No antibiotics or artificial growth hormones are allowed. All feed must be 100% certified organic and animals must be raised on certified organic land. Animals must have year-round access to the outdoors. The nutritional quality of pasture-based products like eggs and milk is higher, containing more omega-3s and fatty acids. The soil improves as it's fertilized with manure. Since antibiotics are not allowed in organic production, the risk of antibiotic resistance and “superbugs” is eliminated. Grazing livestock can make use of marginal land not suitable for growing crops. Animals assist with weed management by eating or trampling unwanted plants. Livestock provide an additional income stream and help distribute a farmer’s workload through the year. 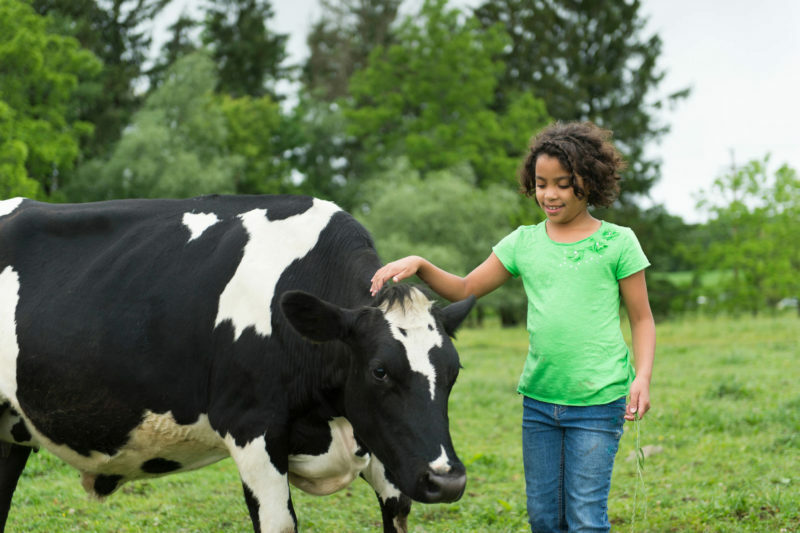 Farmers have more flexibility when they raise animals. They can choose to sell their crops directly or feed them to the animals as market conditions and other factors shift. Of all farming practices, pasture-based livestock operations have the most potential to sequester carbon. Pasture-based operations see fewer vet visits and bills and increases in both animal and land health. Animals provide fertilizer and weed control; in turn, the animals have access to a natural environment and more varied diet that improves their health and wellbeing. Many animals today have been bred to survive in cramped conditions typical of large livestock operations and to grow quickly to yield more meat. 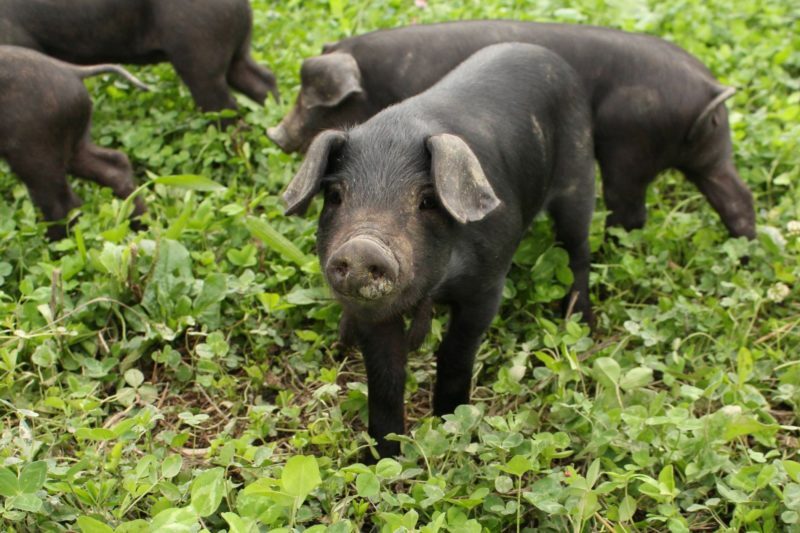 Organic farmers raising animals on pasture often choose heritage breeds instead. These older genetics tend to be hardier and better suited to life outdoors. Here at Rodale Institute, we raise heritage hogs for our pastured pork research because, unlike modern-day breeds, they’re genetically predisposed to forage. For more information on heritage breeds, visit the Livestock Conservancy. Factory farming is a top contributor to climate change. On factory farms, thousands of animals are raised in confinement. Forest might be cleared to make space for feedlots, and that many animals quickly eliminate any pasture or ground cover, exposing soil to wind and water erosion. Manure collects in pits, releasing methane and nitrous oxide, potent greenhouse gases. Factory-farmed animals are fed grain to encourage rapid weight gain. But cows in particular aren’t built to digest grain, leading to increased use of antibiotics and the threat of “superbug” outbreaks. Monocultures of corn and soy are required to keep up with feed demand, creating further emissions and worsening land degradation. Organic livestock management is pasture-based, encouraging biodiversity, healthy soil, and humane treatment of animals. Animal waste becomes a tool for fertility, not a hazard. The animals improve the health of the land. Of all farming practices, pasture-based livestock operations have the most potential to sequester carbon. We built our state-of-the-art pastured hog facility because we believe there's a more humane way to raise these animals that also benefits the land.